1. Do up your eyes from inner to outer corner, not bottom to top – For a modern look, apply color in a subtle graduation of lighter to darker, working horizontally — not vertically. A fresh summer night time look: a touch of gold in the inner corner of the eye, a wash of pink on the lid & a swipe of a darker color — green, purple or bronze — on the outer third of the eye, extending just past the corner. 2. 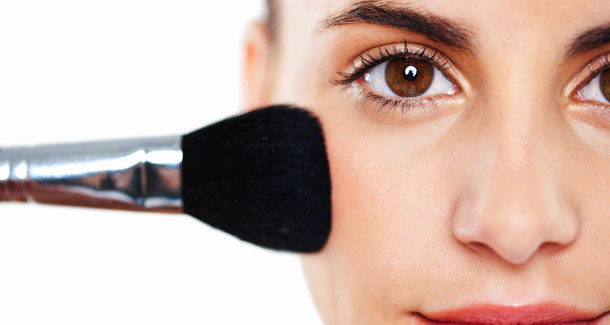 Blush naturally – Perfect blush application is all about placement. Ideally, you want the burst of color to be directly on the apples of your cheeks. A foolproof way of finding this is to swirl the brush directly under your eye pupil and across from the tip of your nose, and blend up & out 2 inches. 3. Boost a bold mouth with concealer – Prep the mouth by applying a pale concealer over their lip lines before applying liner and lipstick. It gives you a really crisp lip that’s a very grown-up look. Touch up after dinner by blotting lips with a tissue, then reapplying concealer, lip liner & lipstick. 4. 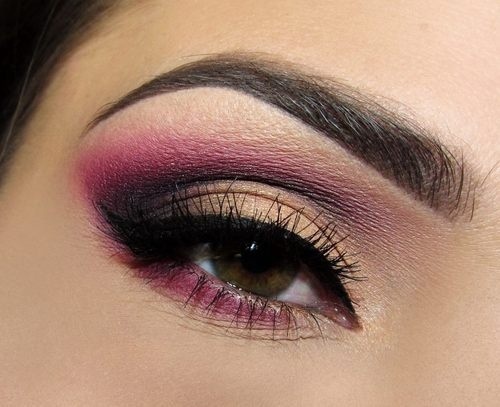 For dramatic eyes, wear false eyelashes – Mascara goes a long way in adding length & fullness to the lashes you have, but it takes some extra enhancement to achieve those lush red-carpet lashes. Just remember to trim the strip to fit the length of your eye & apply the teeniest amount of adhesive. To blend your real lashes with the false ones, trace a very thin line of liquid eyeliner at the base of your lashes and apply a final coat of mascara. Remember, practice makes perfect!